Mumbai Indians has spent wisely in the Auction 2017 bringing in some quality players. They brought in Mitchel Johnson for ₹2 crore ($248,000) followed by two quality indian players in K Gawtham (₹3.2 crore) and Karn Sharma (₹3.2 crore). Below is the entire squad with Auction buys. Auction Results: Mumbai Indians brought in 5 players in IPL auction 2017 with their first choice players tipping the balance of the squad to a good level. Australian pacer, Mitchel Johnson and Indian duo Karm Sharma and K Gawtham will improve their playing XI. While Nicholas Pooran and Saurab Tiwary are good squad players. Mumbai Indian IPL 2017 Squad – For 10th edition of IPL, Mumbai will once again the be the hot favorites to win the competition having retained 20 players from last year’s squad They retained 14 local indian players along with 6 foreign players. They released 10 players going into the 2017 auction. Mumbai Indians have more a less kept the same squad from last season which goes to show they are happy with what they have. However with 11 crore available to spend in Auction 2017 we can expect them to make a few local indian player signings to keep the squad fresh. We will be updating this post with the complete list of Mumbai India squad after the IPL auction on 20 February 2016. What to expect from Mumbai Indian in 2016 IPL season ? Mumbai Indians has a solid team managment with Rickey Ponting as head coach of the team. He is pretty savy and knows exactly what Mumbai Indian needs to buy in Auction to get the balance squad once again. They have decided to retain most of the winning squad from last season and with Rohit Sharma in such good form in shorter formate they have a captain who can lead from the front. They did surprise quite a few people by releasing hard hitting middle-order batsman in Corey Anderson but expection is to buy him back unless some other team pay over the top. Lasith Malinga has been the most successful bowler in IPL history and his economical bowling at the depth overs is crucial for Mumbai Indians. In Corey Anderson they have a player who can win the game on his own be its batting or bowling. Predictions: Mumbai are not the most hyped team and certainly have the best squad having retain most of the 2015 winning squad. So they won’t be disrupting team balance by chopping and changing. They should be there and there about again to win the competition. I am predicting a final berth yet again for Mumbai. That is best team in IPL. that’s a nice team for MI to defend the opposition team. this squad gives deepness in batting n 7 bowlers. ** replace pollard for Ben stoke and Mac lagan for morne morkel,available for auction. Rohit, Parthiv, Raydu, Anderson,Pollard, Buttler, Hardik, krunal, Harbhajan, bumrah, Malinga. 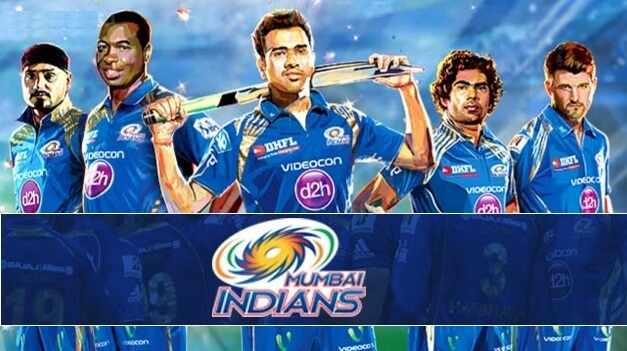 My best team for Mumbai Indian. If MI wants to win this IPL, They should try to buy Ben Stokes so that we can have a good finisher and we can replace pollard if he is not in form. Moreover, they should also require one spinner in form of Md. Nabi and some good allrounders. Hope MI should go for wise pick in auction. Go MI, win IPL 2017. Duniya Hila Denge Hum.